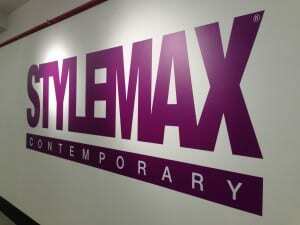 Update: The STYLEMAX trade show over the weekend was a huge success. STYLEMAX is the leading trade show for women’s fashion, accessories, gifts and home goods. Stevens & Tate President Dan Gartlan spoke about his Attraction Marketing program, in his session called Proven Strategies to Draw in Prospects to your Brand and Help Drive Sales. Designed to help organizations improve business performance by strengthening their marketing programs, the presentation promised to provide key insight for retailers and brands on specific and proven ways they can increase efficiencies and attract new prospects. Relevant examples demonstrated how to effectively incorporate the initiatives into their own organizations right away to experience significant results. Now in its 15th year, STYLEMAX—and the new Gift at STYLEMAX—draws thousands and features more than 4,000 resources in over 100,000 square feet of space at the Merchandise Mart downtown Chicago. Dan Gartlan to present a featured seminar on his innovative Attraction Marketing program. The first big speaking event for Stevens & Tate is happening this month—right here in Chicago. STYLEMAX, the leading trade show for women’s fashion, accessories, gifts and home goods, has asked President Dan Gartlan to present a featured seminar on his innovative Attraction Marketing program. Gartlan is pleased to be sharing his expertise at this prominent industry event. Now in its 15th year, STYLEMAX—and the new Gift at STYLEMAX—draws thousands and features more than 4,000 resources in over 100,000 square feet of space at the Merchandise Mart downtown Chicago. The first 2015 event is being held from January 31st through February 2nd at the Market Suites on the 7th Floor. On the first day of the event, Gartlan will educate top retailers and brands on the key strategies and tactics of the Attraction Marketing program, in his session titled: Proven Strategies to Draw in Prospects to your Brand and Help Drive Sales. Designed to help organizations improve business performance by strengthening their marketing programs, the presentation promises to provide key insight for retailers and brands on specific and proven ways they can increase efficiencies and attract new prospects. Relevant examples will demonstrate how to effectively incorporate the initiatives into their own organizations right away to experience significant results. For more information about STYLEMAX and the upcoming show being held at the Merchandise Mart, please visit https://www.stylemaxonline.com. To learn more about Gartlan’s expertise in Attraction Marketing, click here.